Рекомендуемая методическая разработка «Олимпиадные задания для 7 класса» может быть успешно применена в качестве дополнительного материала при подготовке учащегося к олимпиаде. Задания могут быть востребованы и на уроках английского языка, как дополнительные. В разработке представлены олимпиадные тестовые задания с ответами по английскому языку для 7 класса. Предлагаемый материал, направленный на выявление уровня сформированности фонетических, грамматических, лексических умений и навыков, поможет педагогу подготовить школьников 7 класса к олимпиаде, воспитать познавательный интерес к изучению английского языка и пробудить в учащемся уверенность в своих способностях. Предназначено учителям английского языка, а также может быть полезно родителям для дополнительных занятий иностранным языком с детьми. I. Cross out the odd word in each line, paying attention to the vowels. II. Complete the sentences with the correct words. 1. My friend is interested _________medicine. 2. We are going for a walk. Who ________ to go with? 3. She never drinks strong coffee, _________? 4. She is good _______foreign languages. 5. Could you give me ________ please? 6. The journalist asked me_______. 7. It happened________our way home. 8. By the time we arrived at the station, the train________. 9. If he lived in the country he_______happier. 10. When did he arrive_________Moscow? 11. Nobody _________why people walk or talk in their sleep. 12. _________that strange man sitting over there? III. Read the text and answer the questions. Safari Parks A safari park is like a large zoo, where the animals live in natural conditions. There are several safari parks in Britain and they are very popular places for visit. One of the most famous is at Windsor, which is close to London airport. You can visit some parts of the safari park on foot. Here you can see the animals that are not dangerous, like giraffes, zebras, camels and antelopes. The animals walk around as if they were in Africa. But safari parks also have lions, tigers, leopards and other dangerous animals. These cannot be kept with the other animals, because they would eat them. They would also eat the visitors, so they have to drive through the parts where animals live. You have to keep your windows closed and you must not get out of the car. It is not a good idea to take a new car into this part of the park, because the monkeys climb on the cars. They often scratch the paint and they sometimes pull aerials and windscreen wipers off. Safari parks are much better than ordinary zoos, because the animals do not have to live in small cages. 1. How do the animals live in a safari park? 2. You can visit some parts of the safari park with non-dangerous animals_________________. 3. How do the visitors have to behave in safari park? A. They have to drive through the parks where dangerous animals live. B. They have to keep their windows closed. C. They must not get out of the car. D. All variants are correct. 5. What is the most beautiful safari park in Britain? 1. Когда он встает? – Обычно в половине восьмого. a. When do he gets up? – Usually at half to eight. b. When does he get up? – Usually at half past seven. c. When is he getting up? – Usually at half past seven. 2. У меня нет ни братьев, ни сестер. Я единственный ребенок. a. I haven’t got any brothers or sisters. I’m the only child. b. I haven’t got no brothers or sisters. I’m alone child. c. I have got not any brother and sisters. I’m an only children. 3. Я не голоден. Я хочу всего лишь тарелку супа на обед. a. I don’t hungry. I just want a cup of soup for lunch. b. I not hungry. I just wanting a bowl of soap for lunch. c. I’m not hungry. I just want a bowl of soup for lunch. 4. Я был в Лондоне в 1996. a. I was being in London in 1996. b. I was in London in 1996. c. I did be in London in 1996. 5. В моем районе много многоквартирных домов и супермаркет. a. In my neighbourhood lots of blocks of flats and a supermarket. b. There are lots of blocks of flats and a supermarket in my neighbourhood. c. There stand in my neighbourhood lots of blocks of flats and a supermarket. 6. Я принимаю горячую ванну и слушаю радио. a. I have a hot bath and listen to the radio. b. I accept a hot bathroom and listen the radio. c. I have a hot bathroom and listening to the radio. 7. На дорогах слишком много машин. a. There are too many cars on the roads. b. On the roads are too many cars. c. Many cars are too enough on the roads. 8. .Муж моей сестры программист. a. Husband’s my sister is a computer expert. b. My sister husband is a computer expert. c. My sister’s husband is a computer expert. 9. В холодильнике немного сыра, зато много помидоров. a. In the fridge not many cheese but many tomatoes. b. There are not many cheese but many tomatoes in the fridge. c. There isn’t much cheese but there are many tomatoes in the fridge. 10. Какой у нее характер? a. What is she like? b. What does she like? c. How is her character? 11. I eat chocolates while my boyfriend reads novels to me. a. Я ем шоколадные конфеты, а мой друг читает мне романы. b. Я покупаю шоколад, а мой друг романы для чтения. c. Я ем шоколад, а мой друг читает мне нотации за это. 12. Children leave school when they are sixteen or eighteen. a. Дети живут в школе до шестнадцати или восемнадцати. b. Дети заканчивают школу в шестнадцать или восемнадцать лет. c. Дети посещают школу, когда им шестнадцать или восемнадцать. 13. I’m looking for my glasses. a. Я смотрю в мои очки. b. Я осматриваю мои очки. c. Я ищу свои очки. 14. A woman helps me with the housework and the cooking. a. Женщина помогает мне делать уроки и кормит меня. b. Женщина помогает мне по дому и готовит еду. c. Женщина просит меня помочь ей убрать дом и сварить еду. 15. I usually stay at a friend’s flat. a. Я всегда жду друга у его квартиры. b. Я обычно стою у друга в квартире. 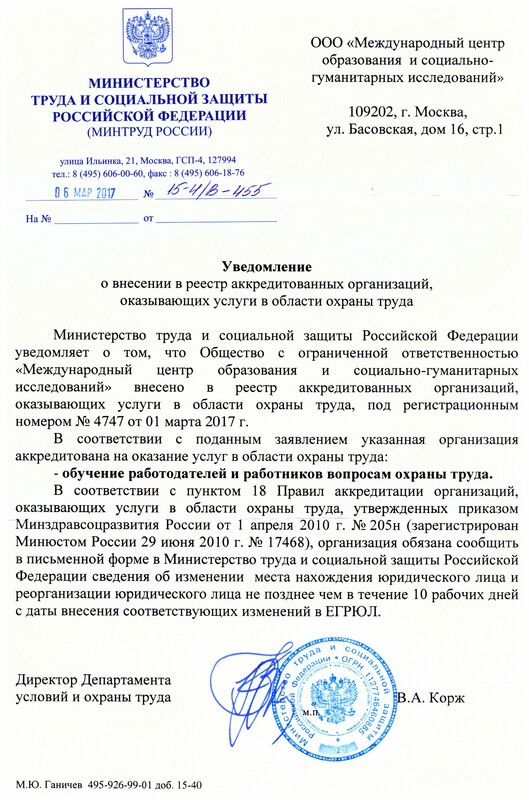 c. Я обычно останавливаюсь в квартире одного из моих друзей. V. Read the text and answer the question. The men are Alex, Bret and Carlo. The one wearing the baseball cap is not Carlo. Carlo is not the one reading the magazine. The man holding the tennis racket is older than the one wearing glasses, but younger than the one sitting down. Спасибо! Очень нужный и актуальный материал! Алена, спасибо! С удовольствием буду использовать материал.